51 years, 1 month, 8 days old age. Aaron Eckhart will turn 52 on 12 March, 2020. Only 10 months, 20 days, 4 hours, 14 minutes has left for his next birthday. Aaron Eckhart has celebrated the total number of 51 birthdays till date. See the analysis by days count and bar graph. 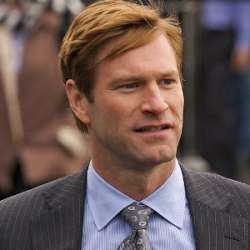 Aaron Eckhart was born on 12-03-1968 in Cupertino in the state of California, United States. 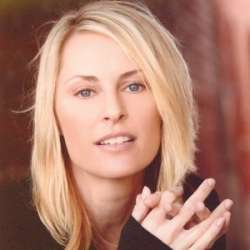 He is an American Film Actor, Theatre Actor, Film Producer & Television Actor. Aaron Eckhart shifted to London in his teenage along with his family. He was cast in Charlie Brown: The Doctor Is In and realized that he is passionate about acting. Eckhart then relocated to Australia while he was studying in his senior year. There he attended a drama school. Eckhart lived in Hawaii and France for a brief time before finally shifting to Utah where he attended Brigham Young University. While in the University, he was cast to play major roles in the college productions. After completion of his graduation, he relocated to New York City and from there he went to Los Angeles to build a career in acting. Soon after landing there, he was cast in various television recurring roles. Finally, in 1997, he earned a role in LaBute's directorial and screenwriting effort, In the Company of Men. This comedy show landed various controversies where he played the role of a corporate staffer. He established himself as an actor during the decade of the 1990s. He played numerous diverse roles and earned a lot of applause for his performances in the decade of the 90s till early 2000s. Among all his work, Thank You for Smoking needs a special mention where he played the role of a scheming and smiling tobacco lobbyist. For his performance, he also won himself a Golden Globe nomination.